Sylvia A. Earle (b.1935) is an oceanographer, marine biologist, explorer, and well-known author. She was a Research Fellow at Harvard University (1967-1981), the first woman appointed as Chief Scientist at the National Oceanic and Atmospheric Administration (1990-1992), and the Explorer-in-Residence at the National Geographic Society since 1998. She has led >100 expeditions, some for NOAA and NGS, including the NGS-sponsored Sustainable Seas Expeditions (1998-2002). She founded Deep Ocean Exploration and Research (1992), an ocean engineering firm, and is President and Chair of Mission Blue: The Sylvia Earle Alliance (2009), to inspire public awareness, access, and support for marine protected areas or “Hope Spots,” numbering 76 as of Sept 2016. Earle has authored or co-authored >190 publications, including Sea Change: A Message of the Oceans (1996), Defying Ocean’s End: An Agenda for Action (2004, co-edited with Linda Glover), The World Is Blue: How Our Fate and the Oceans are One (2009), and Blue Hope: Exploring and Caring for Earth’s Magnificent Ocean (2014). She has been honored with many awards, such as the TED Prize (2009), Rachel Carson Award (2009), UN Champions of the Earth Award (2014). 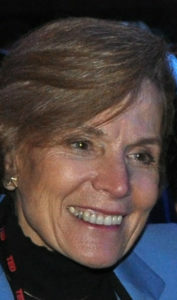 She as a Time magazine Hero for the Planet (1998), and has been called “Her Deepness” by The New Yorker and a “Living Legend” by the Library of Congress.